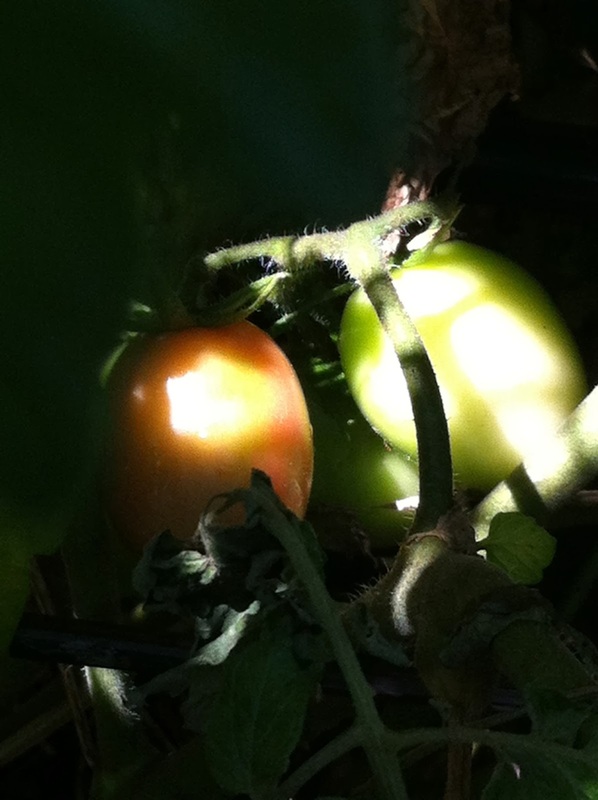 What's been happening in the garden? I was out of Sydney for most of December. On Saturday I dropped into JSRCG for some watering and pottering and blown away by the floral action that's taken place whilst I've been away. This little baby's just grown up in fallow behind the herb bed's compost bin! At the moment it looks like an apple cucumber - but it's a Pepino. 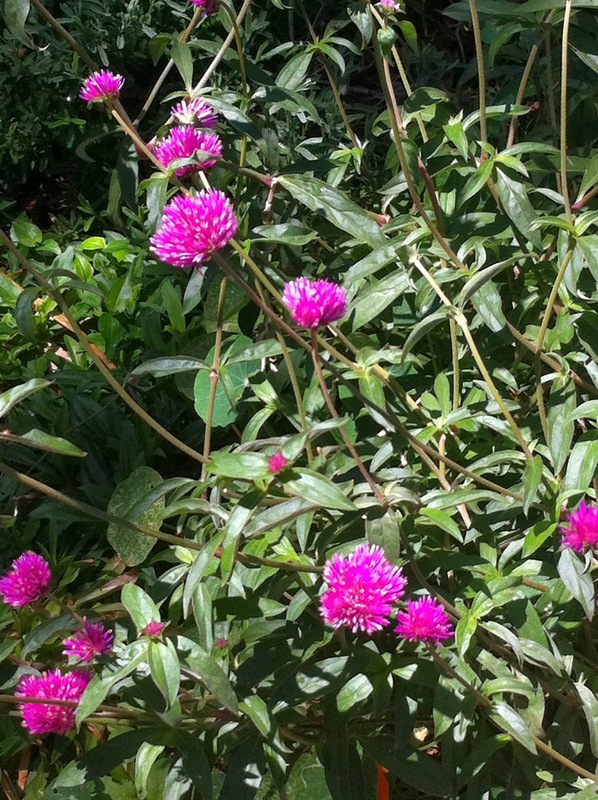 Beautiful purple bug attractors near the James St gate! 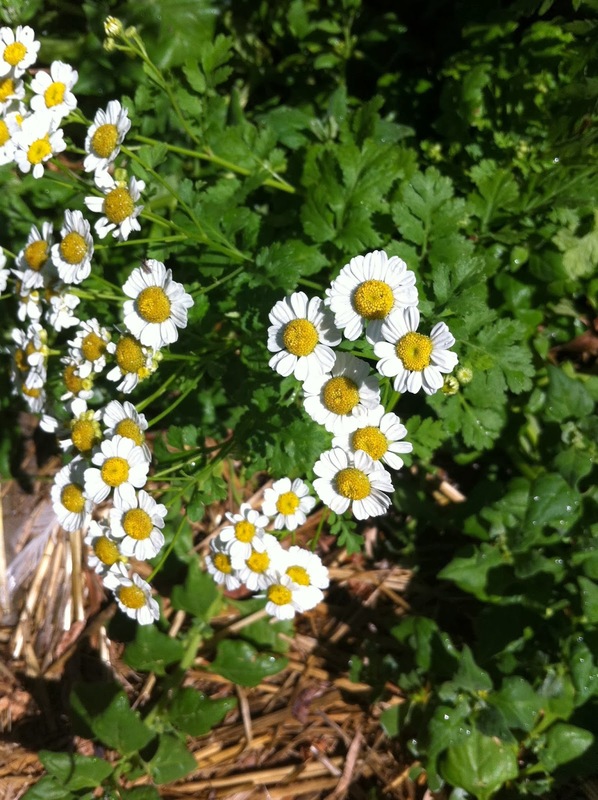 Pyrethrum - one of the prettiest companion plants. 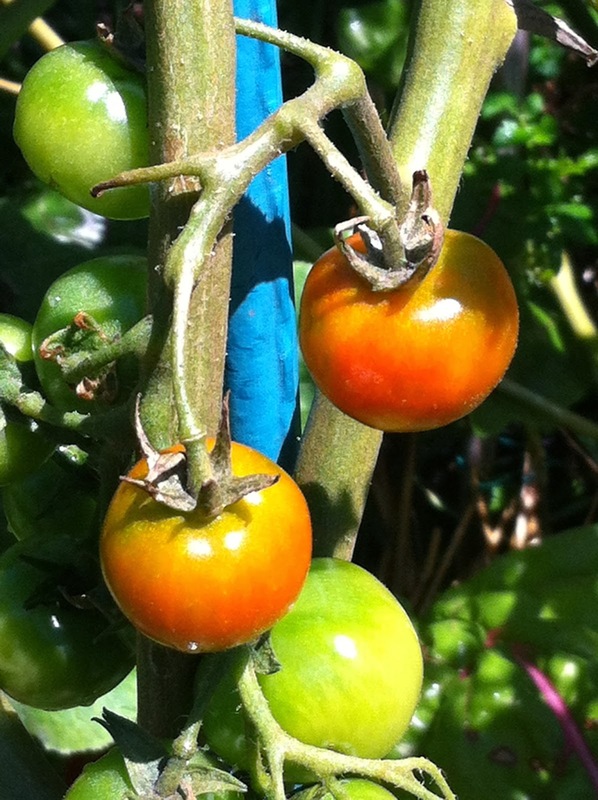 Some yummy cherry tomotoes (how do you spell 'tomato') in the root bed! 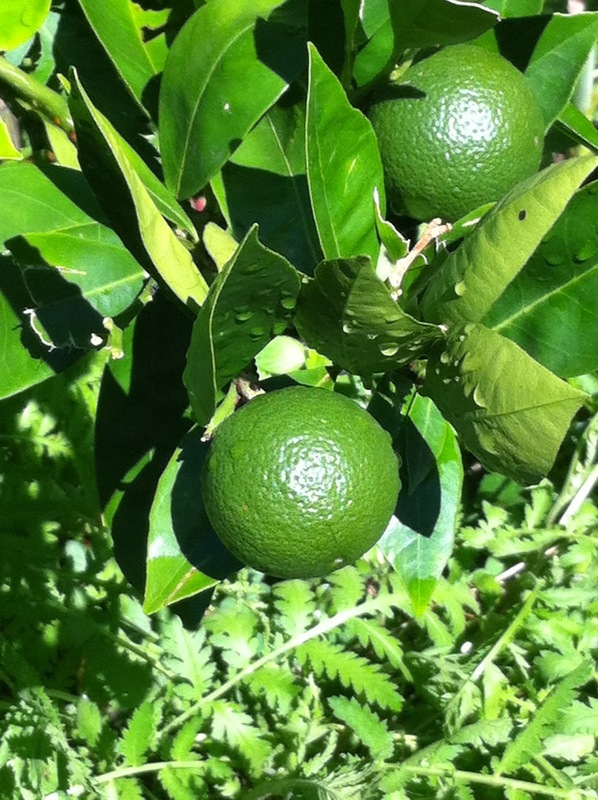 There's an abundance of bush tomoto's as well - they're my new favourite. Something citrusy to go with our gin-sies, hiding behind the root bed! 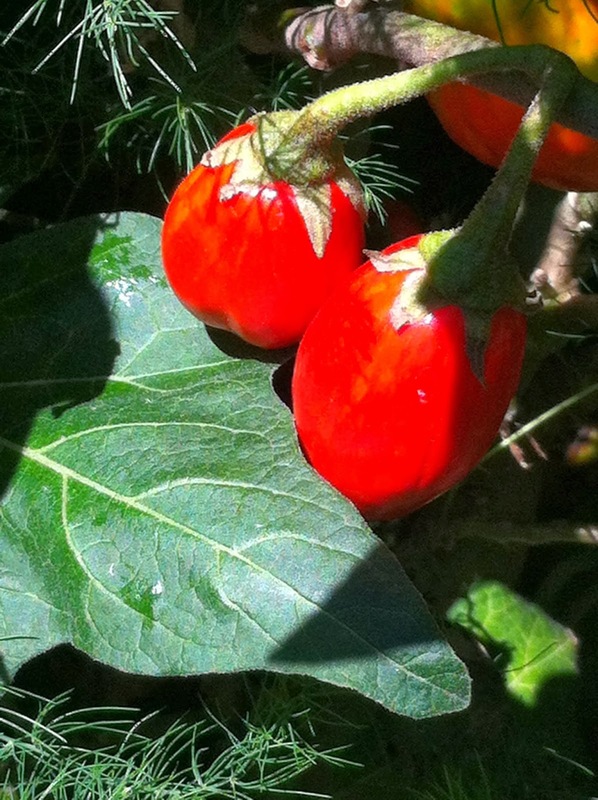 Pretty gorgeous, little red eggplants ... aren't they lovely? In the training bed. Some more dreamy tomoatoes in the training bed! Woo-hoo! Looks like sweet potato for all in the North Bed! 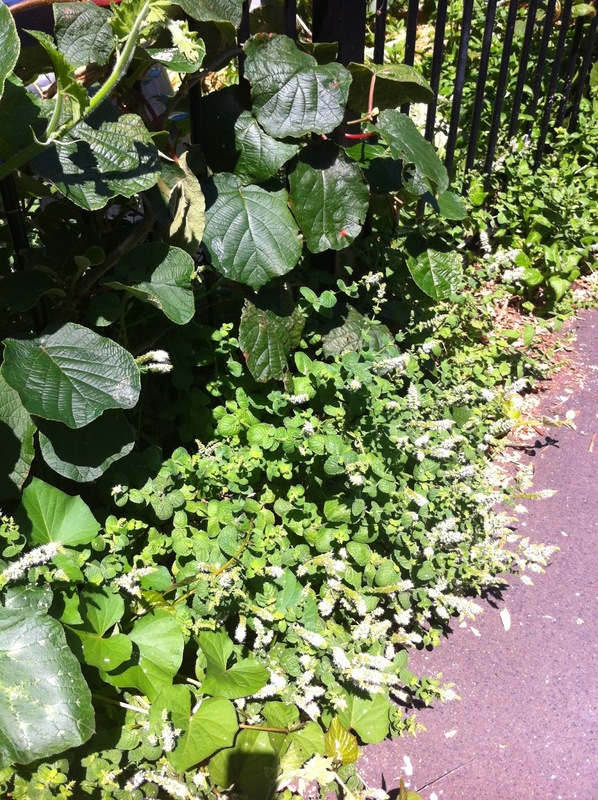 You'll need to magnify this little gem - but it's an abundance of fragrant and pretty mint pouring out onto the laneway. 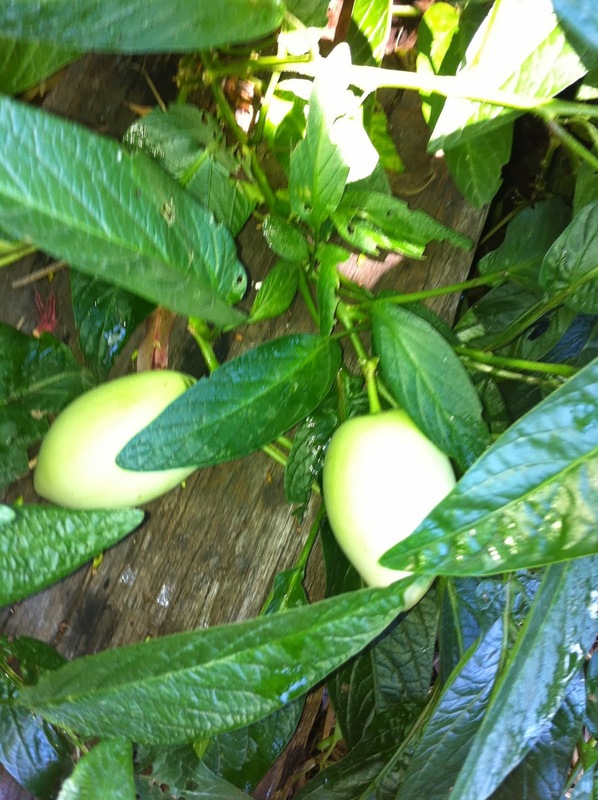 And wowser, the kiwi fruit's taking off again. 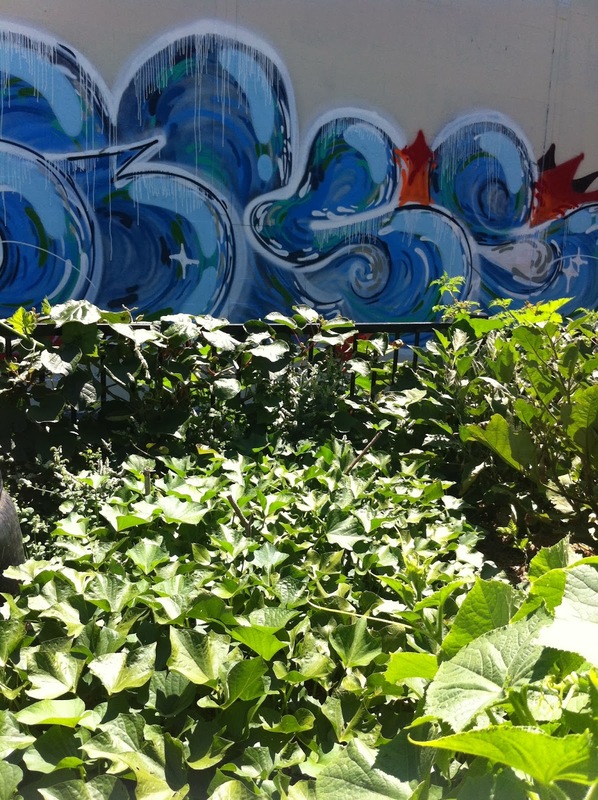 And a big Happy New Year to all the James Street Reserve Community Gardeners! UPDATE (1/1/14): Caught up with Jon this morning, I made a few boo-boo's (particularly red-faced about mixing up pyrethrum with camomile).